P. Town Boyz Ojibwe youth drum group from the Red Lake Indian Reservation in Minnesota originated in the year 2000 while participating with the Ponemah Elementary Drum & Dance Troupe. The group consists of six singers, all of whom are cousins who grew up together in the traditional village of Ponemah in Red Lake. At the time their self-titled debut was recorded James Cloud III was 16, Brian Stillday Jr. was 16, Tony Cloud was 14, Neal Johnson was 14, Eldon Cloud was 14, and Bryce Cloud was 10. P. Town Boyz (PTBZ) made their TV debut on the PBS Special “ZOOM” and have since received International recognition and acclaim. In 2005, PTBZ began to travel and perform at traditional POW WOWS and schools within Indian Country. The young group performed at the National School Board Conference in Chicago, Illinois; the Kristin Monroe Dance Special in Ball Club, Minnesota; took 1st place at the Bug O Nay Geezhig School POW WOW in Leech Lake, Minnesota, and 2nd place at the Minnesota Drum & Dance Competition in Detroit Lakes, Minnesota; and were also honored with a traditional drum from the Lac Courte Orielles school committee for their leadership, behavior, and respect at the LCO school POW WOW in Lac Courte Orielles, Wisconsin. P. Town Boyz have also had the honor of performing as the “Youth Host Drum” at the White Fish Bay POW WOW in Ontario, Canada, and at the Honor the Youth Leadership Conference & POW WOW in Red Lake, Minnesota. In 2006, P. Town Boys were invited by Robby Romero and the United Nations Permanent Forum on Indigenous Issues to perform at the General Assembly Hall and Cultural Event at the United Nations Headquarters in New York City, New York. With their unique and powerful vocal style, they performed to Indigenous Delegates, World Leaders, and United Nations Officials during the opening ceremony of the Second International Decade of the World’s Indigenous Peoples. That fall the PTBZ opened for Red Thunder at the Creek Nations “Native Music Festival” in Tulsa, Oklahoma. In 2007, the highly anticipated P. Town Boyz self-titled debut CD of original songs was released in Indian Country, and digitally on iTunes and other online music stores. The cover feature a painting by Ojibwa artist Joe Geshick (1943-2009). In support of their debut release, PTBZ hit the road on their 2007 “Pow Wow Trail” tour with a live performance and interview on WOJB Radio during the Honor The Earth Traditional Pow Wow, and winning numerous singing and drum awards. The PTBZ debut was produced by Robby Romero for Eagle Thunder Records and was featured in the 2008 issue of Indian Country Today’s – “Pow Wow” Magazine. 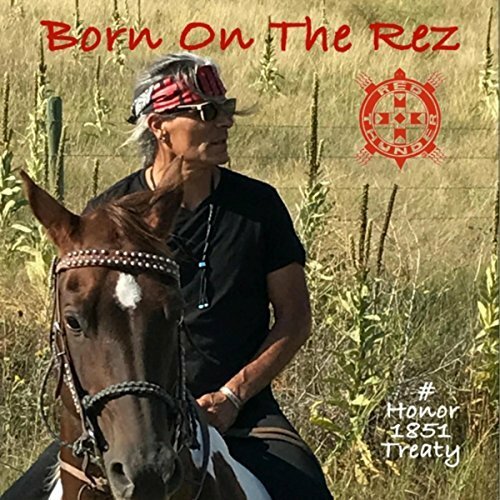 The PTBZ joined Robby Romero and an ensemble of Indigenous musicians from around the world singing and drumming on Robby's single ALL OUR COLORS. Catch the PTBZ on the Pow Wow Trail drumming, singing and winning awards across Indian Country.